The NEXT BIG THING that we were very excited about was crossing the equator with our friends and (former) pollywogs Carlos and Linda on Mirniy Okean. After two nights at sea, we met up with Mirniy at an island called Kongka Besar, just a few miles south of the equator. We stayed two nights and kicked off our equator crossing ceremony. The line-crossing ceremony has a pretty sordid history: hazing, abuse, and even a few deaths. The ceremonies were popular in the early 1900s, and I could see the ceremonies being used to boost the morale of seamen during the wars. The Wikipedia page for line-crossing includes images of Shellback certificates from the 1940s. When my dad was a student at Texas A&M University, he, like a lot of students in Maritime studies, lived aboard the Texas Clipper and traveled. He crossed the equator as part of the crew and participated in the equator crossing celebration! Read about crossing the equator on a ship while doing a Semester at Sea. Equator crossings aren’t the only line-crossing ceremony. David and I also belong to the Order of the Ditch for maritime personnel who have passed through the Panama Canal, and the Domain of the Golden Dragon, for those who have crossed the International Date Line. We didn’t do a ceremony for either of those, but of course, we made a big deal out of crossing the equator when we were in the Pacific. Click here to download an Equator Crossing free pdf file with speeches and a certificate to complete your own equator crossing ceremony. To start off the morning right, Carlos and Linda dressed up as pirates and invaded Starry Horizons’ galley, buttering up us shellbacks to ensure that we wouldn’t haze them too much while crossing the equator. It worked – Linda made us delicious crepes for a big breakfast. Linda expertly flips crepes in the galley. 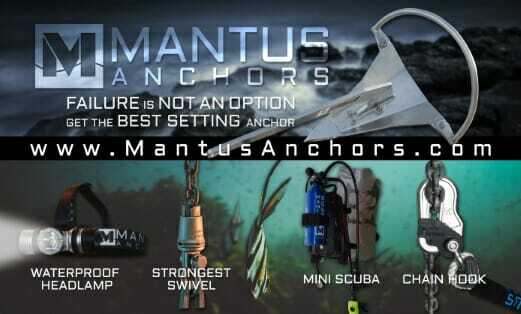 Next, we both upped our anchor and took off for the next island, Kentar, which was 13nm away. As we crossed the equator, David and I did a small ceremony on our back transom, thanking Neptune for our safe passage and toasting him with a bottle of bubbly while dragging our feet in the water. Carlos and Linda also did a toast with some rum, and the whole thing was recorded by Pheonix, our DJI Phantom 4. Buddy boats crossing the equator! A lil bit for King Neptune. 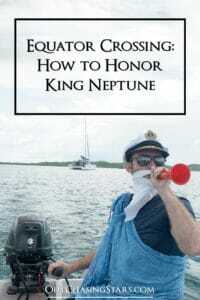 Once we were safely anchored in Kentar, David attired himself as King Neptune with a beard and trident. We came over to serve court on Mirniy and pass judgment on Carlos and Linda. We were gifted Tahitian necklaces before sitting down and being treated to a Tahitian dance performance (Linda is a professional Tahitian dancer). David performed a short ceremony and officially declared Carlos and Linda shellbacks! Huzzah! A beautiful Tahitian dance to honor King Neptune. We had our new shellbacks over for dinner, serving a mackerel we caught on our way up. We paired it with Carlos’ famous Spanish omelet. It was a blast being with Mirniy for this momentous occasion. After another two nights in Kentar, we took off for a 28 nm sail to Mesanak. There, we caught up with more rally friends like Slow Flight. Mesanak was a quiet unprotected anchorage, but that was just fine as the seas and winds were very calm. We enjoyed the anchorage for two nights. Aw, thank you! It was a blast. 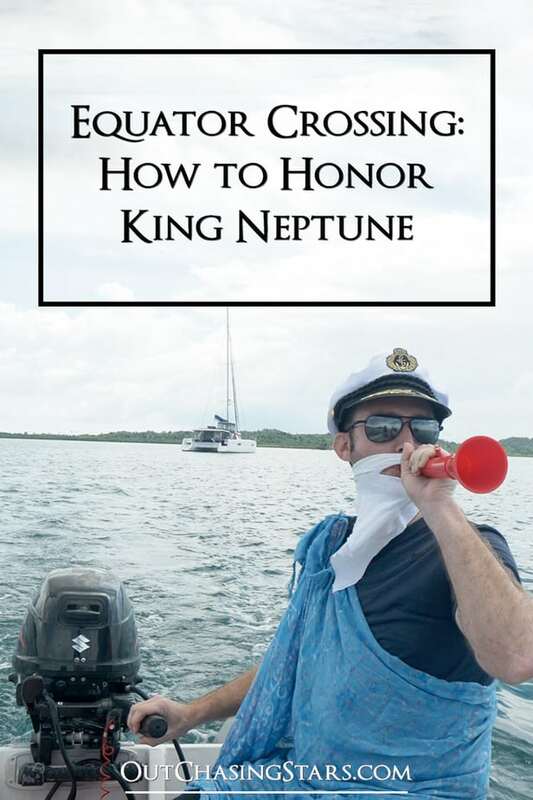 Ha ha I love this equator crossing ceremony, especially the fact that you get to dress up as King Neptune and pop some champagne! Looks like a fun day in between what I imagine is hard work sailing. Definitely one for the bucket list. Thanks Claire! These ceremonies do help break up the monotony of big passages or just look forward to something in general.